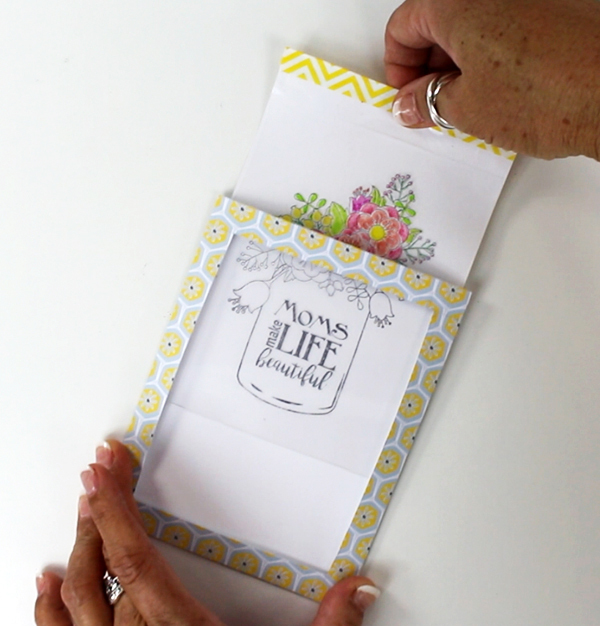 In honor of Mother’s Day, I created a magical card using my Mother’s Day clear stamp set by Sizzix. The best way to explain the magic of this card is by sharing a little video. I’m rather new at this filming, editing, uploading process so I apologize for the quality but I think you can get an idea of the magic in this card. Notice that the card image starts off in black and white and then becomes colored. I’m currently teaching a couple of workshops on this card and having so much fun sharing this technique. Check out the Designer Crafts Connection blog for more Mother’s Day ideas.